This was donated to the Manx Gateway Drama Club. The drama group is for adults and its aim is to ‘give people with learning difficulties the opportunity to discover, through drama and the performing arts, a new means of self-expression and communication, and to increase their confidence’. The group meets weekly to rehearse and put on a Christmas Nativity and Summer production; these are written ‘in-house’ and are tailored to the individual needs of the cast. They are always excellent and engaging to watch and the donation will help to fund costumes and sets for future productions. 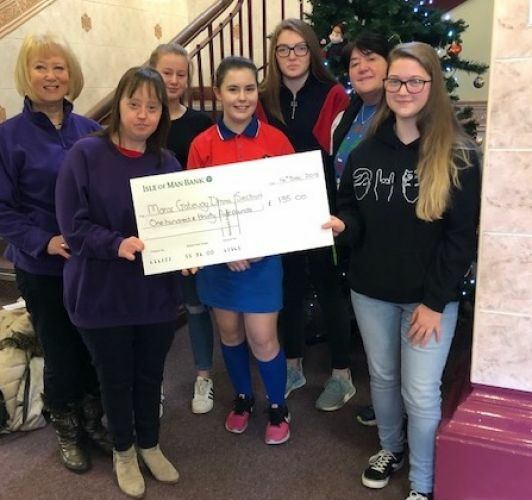 The cheque was presented to Julia and Elan Karran from the Manx Gateway Drama Group. 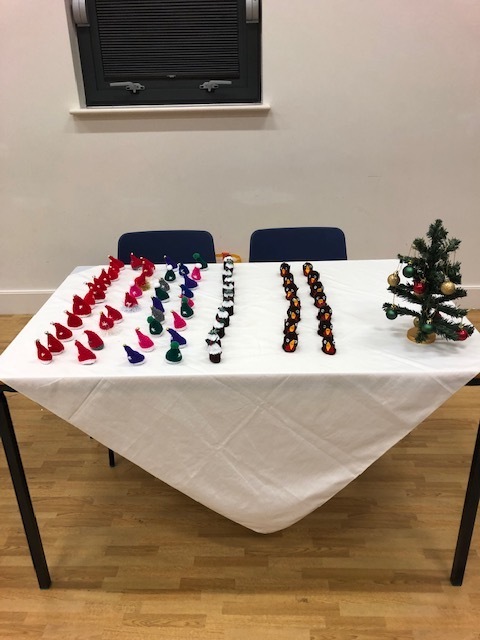 Knitted decorations were also donated by Mrs P Richardson and Mrs V Avery. The ‘Knit and Natter’ group would like to thank them for their help and support.